Knitting and Making a Profit. Knitting by hand will make earning a profit seem impossible. Hand made anything for profit can be challenging. But creating, graphs and patterns are a couple of ways you could actually earn an income. I think this is the best way myself. 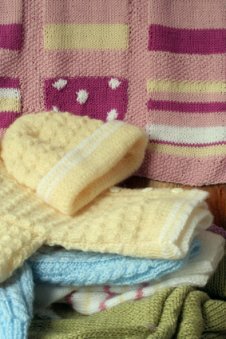 When you create new patterns using basic instructions say, scarf instructions, so the beginner can understand each and every step of the process. With this you will have a wide customer base. Marketing hand made items is a bit difficult (but not impossible) to earn any real income with. Working by hand is very time consuming and it would be very hard to earn any decent hourly wage with it. But if you use your imagination and are truly talented or gifted with the needles, you can earn some extra income doing things by hand. The amount you earn will depend a great deal on whether you are creating products or patterns. Another way to earn some part time income is to teach. I hear it all the time "Please teach me how to knit". Yes there are many people that want to learn to knit and they learn best with a teacher for visual learning. Reading charts can confuse some of the best knitters, so you could teach how to knit while using these charts. You must have a good knowledge and a lot of patience, but it is another avenue for income. Check with your local craft stores and see what instructors are needed. You could arrange to teach classes starting with the basics and then moving up to the intermediate patterns and than naturally the advanced classes. Also you can teach special projects such as lace, intarsia and such. Think about what you have made and there are plenty of people that would love to learn that technique. Another avenue would be to write patterns and instructions for beginners. If you can describe binding off and casting on with clear written instructions, in a step by step fashion, than you will have a large demand for your product. Many people today, want to learn how to knit and grandma doesn't seem to be teaching it anymore. When your patterns are shown, people will learn to know your product and they will want the latest pattern published because they know you deliver. Your patterns can have a niche of their own as clear and understandable. When you create a pattern it is a one-time process for that particular pattern. You create it once and sell it over and over again. Than you sell this pattern any number of times for years to come. When you create a product (say a sweater) it is very time intensive and when you sell it, you than have to start all over again making another one. For the craft shows, your smaller items are perfect. You must plan ahead and knit continually all year long. (But than that is half the fun) Then when the fall shows begin you will have a good amount of inventory on hand. 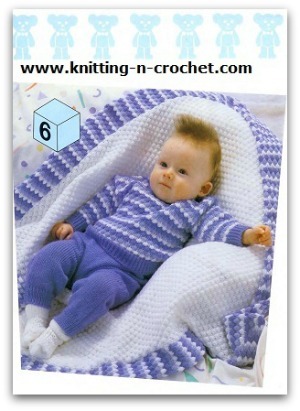 Items that sell well at the craft shows are the baby items of course. 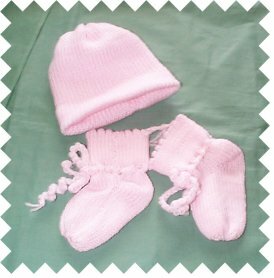 Sweaters, caps, mittens, booties, blankets and sets are always in demand. Babies are born all year around and baby showers never seem to end. The American Girl Doll and Cabbage Patch Doll clothes sell very easily. I think the American Girl Doll clothes are fun to make up and a quick product to produce. Collectors buy these items for their collections. 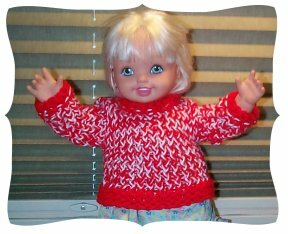 Parents and grandparents buy doll clothes for their children and grandchildren. Anything that people wear is made into doll clothes. Knitting charts and how to read them.